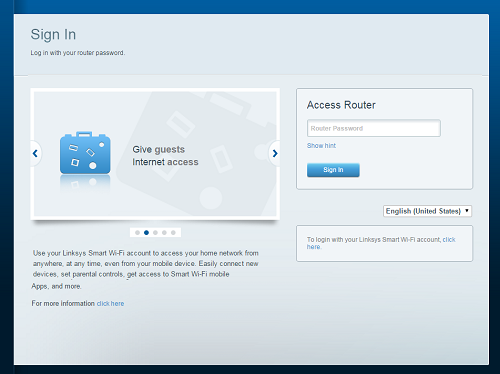 The Linksys Smart Wi-Fi routers allow you to set up a Router password hint. This is very useful should you forget your local admin password during local log in (not your Linksys Smart Wi-Fi password). 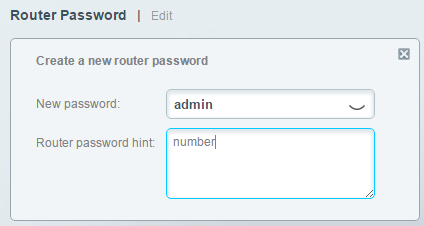 The password hint is visible when you locally log in to the router, so make sure you don’t use your actual password. NOTE: The Linksys cloud account password is NOT your administrative password. For instructions on how to retrieve it, click here. 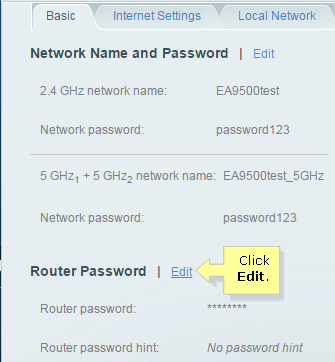 This article will give you instructions on how to change the Router password hint. Log in to the router’s web-based setup page. To do this you can either enter "192.168.1.1" or "http://myrouter.local" in the Address bar then press [ENTER]. 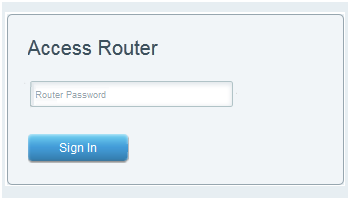 Enter your router’s local admin password and then click Sign In. 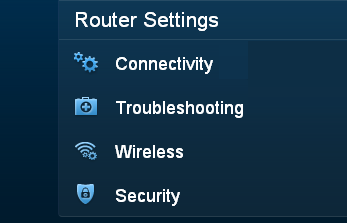 Under Router Settings, click Connectivity. On the Basic tab beside Router Password, click Edit. QUICK TIP: You can also click the icon to view your password. 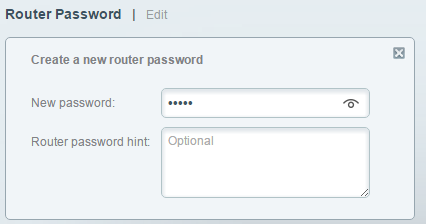 Enter your new Router password hint in the field provided. When the confirmation prompt appears, click Yes then OK. So if you were to ever forget your router's local password, the next time you go to http://192.1681.1, you can click on the Show Hint link to display the hint you created.